This is the last Pure Smile Choosy Lip Pack on my to-try list and I'm excited to share my thoughts on it with you guys. You guys know I've been trying and reviewing all of Pure Smile's lip masks in my stash to find my favorites. The journey was long but it was well worth it because I've found quite a few good lip masks that I will be repurchasing. 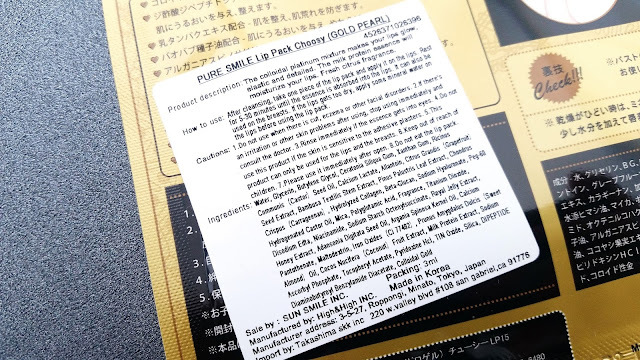 This last one is the Gold Pearl lip mask, let's get to know it! Product Description: The Pure Smile Choosy Lip Pack in Gold Pearl is a hydro gel mask for the lips. It's a moisturizing lip mask formulated with various nourishing ingredients such as almond oil, coconut, milk, collagen, collodial gold, and more. The mask works to hydrate the lips while softening and smoothing it as well. To Use: Cleanse your lips first. Take the lip mask out of its packaging and apply it onto the lips. Leave the mask on for 5 to 30 minutes (or longer), then remove the mask and apply lip balm or lip treatment. Tip: for best result, use the mask after a shower/bath and use it after a lip scrub if the lips are chapped. 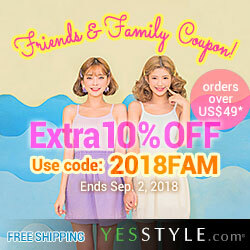 Ingredients: Water, glycerin, butylene glycol, ceratonia sillqua gum, xanthan gum, ricinus communis seed oil, calcium lactate, allantoin, citrus grandis (grapefruit) seed extract, bambusa textillis stem extract, pinus palustris leaf extract, chondrus crispus (carrageenan), hydrolyzed collagen, beta-glucan, sodium hyaluronate, PEG-60 hydrogenated caster oil, mica, polyglutamic acid, fragrance, titanium dioxide, disodium EDTA, niacinamide, sodium starch octenylsuccinate, royal jelly extract, honey extract, adansonia digitata seed oil, argania spinosa kernel oil, calcium pantothenate, maltodextrin, iron oxide, prunus amygdalus dulcis (sweet almond) oil, cocos nucifera (coconut) fruit extract, milk protein extract, sodium ascorbly phosphate, tocopheryl acetate, pyridoxine HCI, tin oxide, silica, dipeptide diaminobutyroyl benzylamide diacetate, colloidal gold. As with all my previous Pure Smile Choosy lip mask reviews, I've highlighted the ingredients that are unique to this lip mask. Every Choosy lip mask generally has the same basic ingredients, so the highlighted ingredients are what makes it unique. 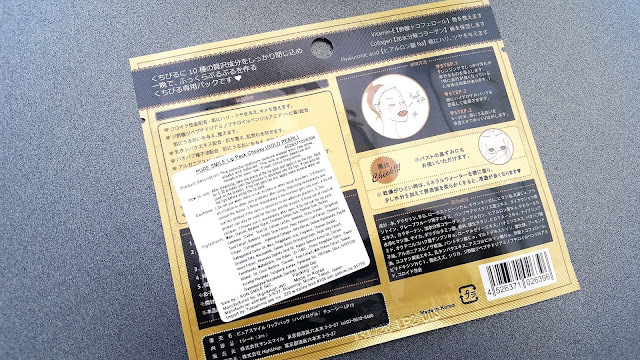 Packaging: While all of the Pure Smile lip masks have the same basic designs, the Pearl line has an extra bit of pizzazz. The Gold Pearl lip mask has a different lip picture on the front and a bit of patterns designs as well. It comes with information regarding the product on the back. The hydro gel mask is stored inside plastic protective coverings that should be removed before using. Scent: The lip mask has a sweet floral scent. 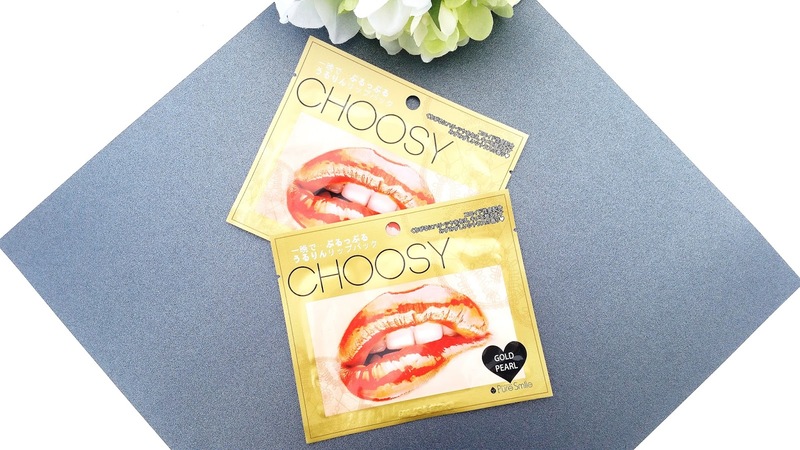 It also has that typical hydro gel scent that's present in all of Pure Smile's Choosy lip masks. Color: The Gold Pearl lip masks are gold in color with little specs of colloidal gold on it. The lip mask is opaque as well. Texture: All of Pure Smile's Choosy lip masks have the same texture. It's the same texture as a hydro gel sheet mask. The only difference is that while most hydro gel masks have a mesh in the middle to hold the mask together, the lip masks don't have a mesh. This makes them more flexible and makes it easier to adhere to the lips. Michelle's Thoughts: I think this is the only lip mask from the Pearl line that wasn't super awesome but it's still better than a lot of the masks from their Regular line. Don't get me wrong, it's a really good lip mask but it lacks a bit in its moisturizing effects compared to the other lip masks from the Pearl line. The lip mask didn't feel as moisturizing when applied and its moisturizing effects were not as long lasting after removal either. It was a little disappointing considering I was expecting great things from the Pearl line's lip masks. However, seeing that it's still better than some masks from Choosy's Regular line, I'd say it's a good one still. The Gold Pearl mask contains coconut, milk, sweet almond oil, colloidal gold, and more to soften, smooth, and hydrate the lips. Like all other lip masks, if left on a bit longer, it can also plump the lips a little as well. The mask is large enough that it'll fit all lip sizes and shapes. Due to its hydro gel texture, it forms to the shape of your lips without issues and stays on nicely. To elongate the lip care effects the lip masks provides, I always follow up with either lip treatment or lip balm. Normally, I use the lip mask once a week and use lip treatment/lip balm to help retain its benefits for the rest of the week. This method works most of the time, however, I've found that it doesn't work well in harsh cold weather or with lip masks that aren't super moisturizing (or its effects aren't long lasting). In either of those cases, I end up using the lip masks twice a week, while still caring for it in between with my lip treatments/lip balms. 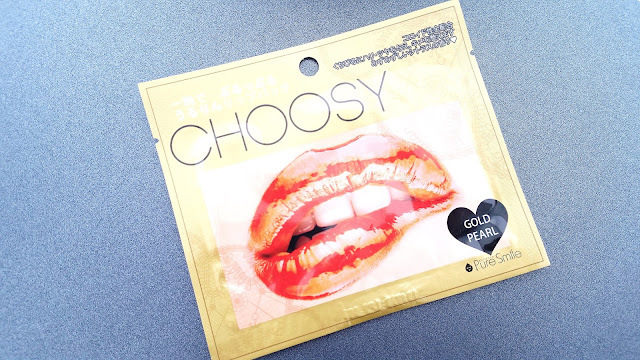 Final Thoughts: The Pure Smile Choosy Lip Pack in Gold Pearl is a great lip mask but it's not as awesome as some of the other lip masks from the Pearl line. While it does provide the same type of lip care as its sister products, I found that it's just not as effective. It feels less moisturizing compared to the others masks. However, it does offer the other lip care benefits so it doesn't seem too bad. Would I repurchase this lip mask in the future? Maybe. Since there are quite a few really good lip masks I want to repurchase already, I'm not sure if I'll want to get this one. It's not one of the best but it's still good, so it's a maybe on my list. Do I think this is worth a try? I do think it's worth it to give it a try. It's a good lip mask but Pure Smile's Choosy Pearl line also has a few better ones as well (like the White Pearl) that's worth a try. Pure Smile Choosy has 3 lines of lip masks, the Original (which includes Peach, Milk, Fruit, Herb, and Honey), the Pearl (which includes Pink, Purple, Black, Gold, and White), and the Art line which includes lip masks with unique designs.